Lemony, garlicky, herby Greek roast lamb is a real winner – generations of yiayias can’t be wrong. Marinade it overnight if you can, then roast baby new potatoes along with the meat. Years ago, it would been put it in the village bread oven while your Greek granny shamed you into going to church, but gas or electric cookers can still produce a taste sensation that will wow your guests. Mechoui is a slow-roast Moroccan dish and it is utterly delicious, rubbed and basted with a spiced butter. It uses lamb shoulder, a bit cheaper than leg, and it absolutely melts in the mouth after its low, slow cooking. Want a more traditionally British roast? How about this slow-roast shoulder with garlic and rosemary? There’s a bonus recipe in this post for spicy Shepherd’s Pie. You’ve cooked a joint and your family hasn’t devoured every scrap? Lucky you! If you’ve got leftovers, you might like a spicy lamb pilaf, a lamb curry, or that spicy Shepherd’s Pie I mentioned above. Don’t want to cook a joint? 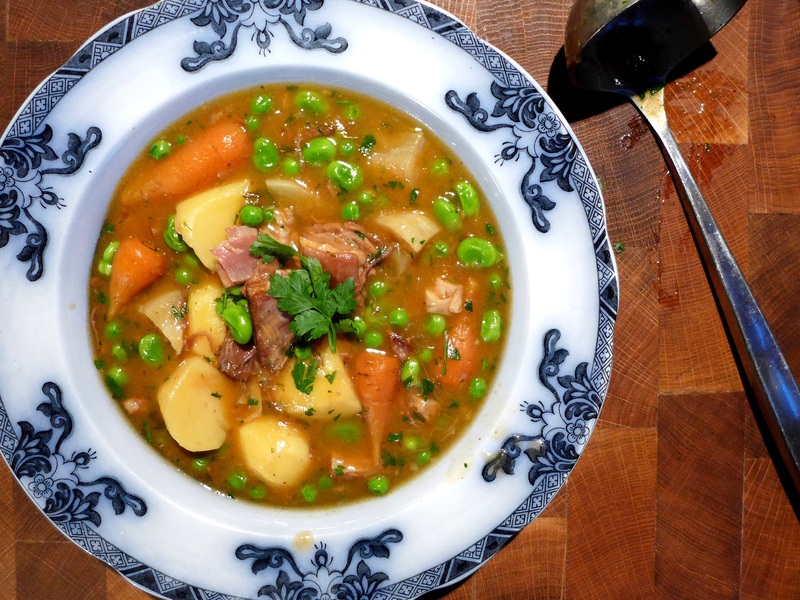 Try this French Navarin of Lamb. It’s so light and spring-like and it utilises lamb belly, which is still a really cheap cut. Cook it the way I describe and it won’t be the least bit fatty. Or splash out on a Herbed Rack of Lamb if you want a more premium cut. Only two of you? A lamb rump is a really good cut, inexpensive, just the right size for two people and is beautifully juicy and flavourful. 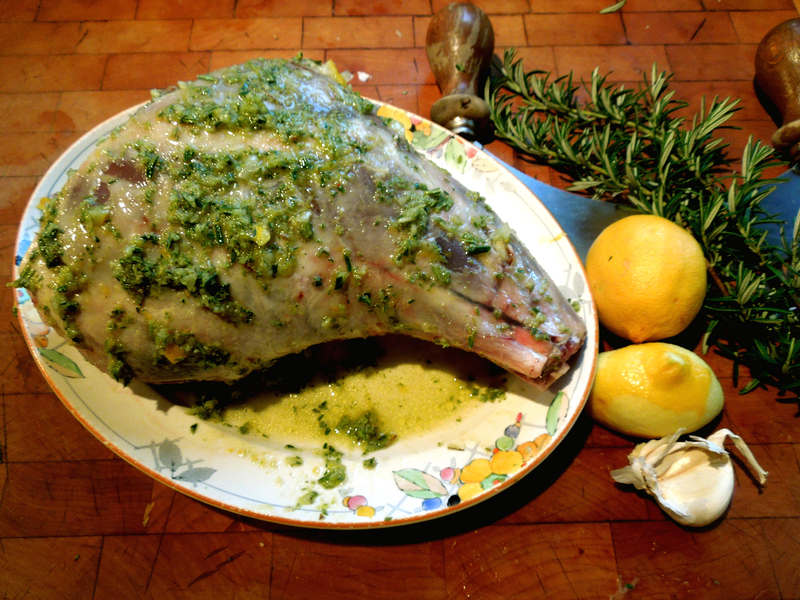 Have a look at my recipes for lamb with salsa verde or lamb rump with sauce soubise. If you’re cooking for one, either sauce works well with lamb chops, too. 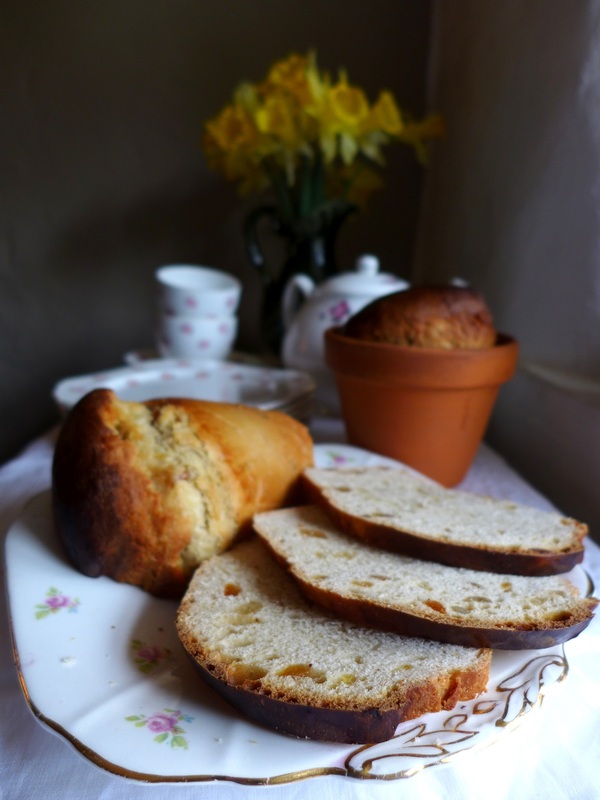 Finally, some sweet things to keep the hunger pangs at bay … Italian Easter Flower Pot Bread is a sweet, citrusy, yeasted bread. You don’t have to make it in flower pots! A simnel cake is a traditional Easter bake (as well as for Mothering Sunday) and a lovely thing to put on the table. Or, if you’re pushed for time, try this fruity, spiced soda bread. Whatever you choose to cook and however you spend your Easter, I wish you all a very happy holiday. This entry was posted in Desserts, cakes and biscuits, Lamb and kid and tagged Easter recipe round up, Greek roast lamb, Herbed rack of lamb, Italian Easter Bread, lamb curry, lamb pilaf, lamb rump, lamb with salsa verde, mechoui, navarin of lamb, simnel cake, slow roast lamb with garlic and rosemary, spicy shepherd's pie, Sweet spiced soda bread by Linda Duffin. Bookmark the permalink. Perfect. I have sinned, and not yet made my simnel cake. You’ve provided me with all I need. That all looks so very good…I am glad it is almost dinnertime! I’m doing an Easter lazy post too. I’ll put up my 49 ways with lamb on Tuesday. I am away in the West cycling and the blog has to take a back seat. Happy Easter. These all sounds wonderful, Linda. I’d be hard-pressed to choose… ! This is all fine and good. But where’s my personal favorite: the rabbit mold?? 🙂 Hope the weekend is lovely.